Redwing, Redwings, Migrating Redwings, Redwing Birds in Cornwall, Redwings nesting in England, Icelandic Redwings, Northern European Redwings seen in Britiain, redwings seen in Cornwall, male Redwing, female Redwing, juvenile Redwing, Redwings seen in Devon. 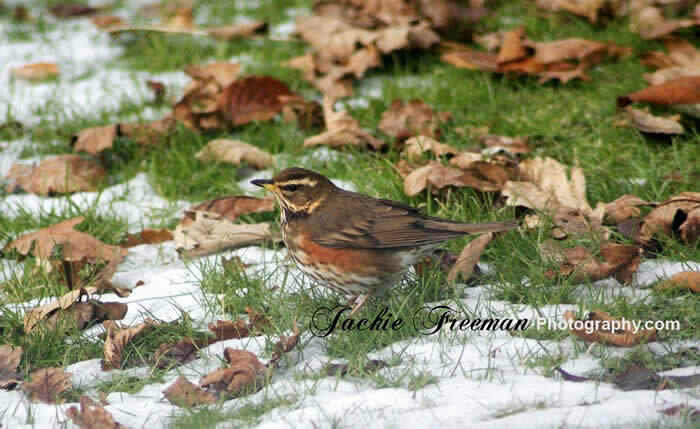 Photos of redwings, Image of Redwing. 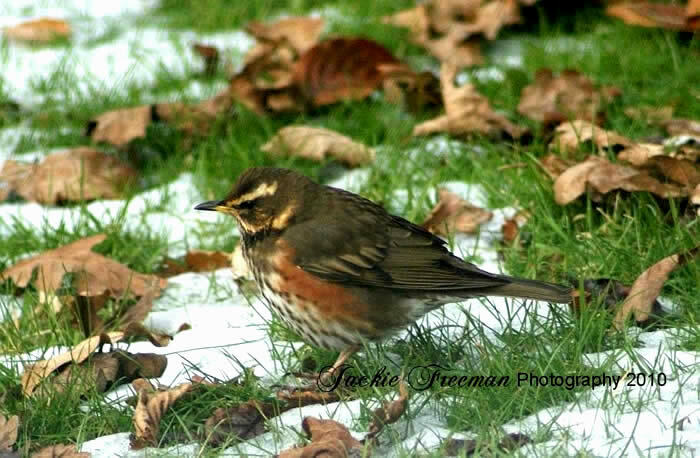 The Redwing (Turdus iliacus) is more common to Scotland than to the warmer climate of Cornwall during the winter months . However Redwings have been seen in Cornwall for the past two winters. 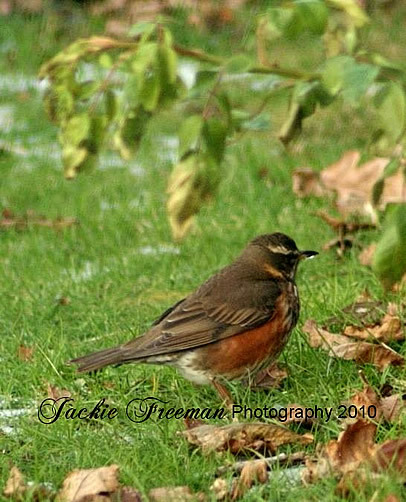 These Redwings photographed here, which have been reported to have been seen in small flocks in Newquay and Devon spent a good week or so in my back garden in St Brewrad in Cornwall at the end of December 2010. The seem to enjoy foraging under leaves much the same as Blackbirds and have arrived at the same time as the Starlings have begun to flock up on Bodmin Moor. 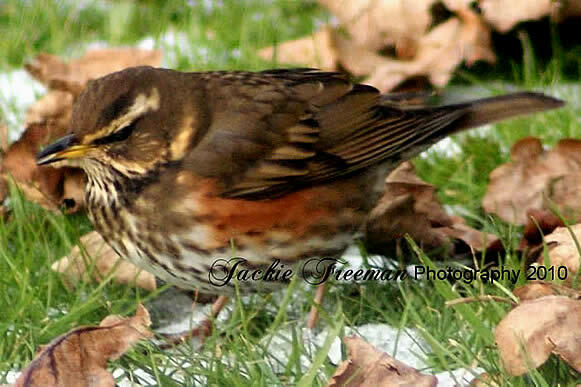 the Redwing is very similar in many respect to the Song Thrush with similar markings down its front. The Redwing is a small winter visiting bird from Scandinavia and Iceland, they usually arrive in late September and stay until March or April. 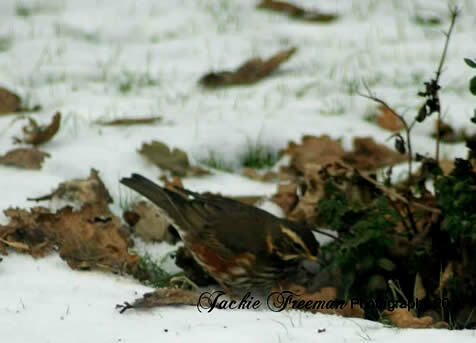 The Scandinavian Redwings usually winter in southern Britain and the Icelandic Redwings in Scotland or Ireland - the Icelandic Redwing is slightly larger and darker than the Scandinavian Redwing. From what I have been told, it is unusual to see Redwings in gardens as they prefer woodlands and quite unusual to see Redwings flocking in Cornwall. So I have been particularly lucky.